Jordan Brand initially unveiled just one colorway of their first running shoe, but it turned out that three more colorways of the Jordan Flight Runner were also released aside from the “Concord” edition. 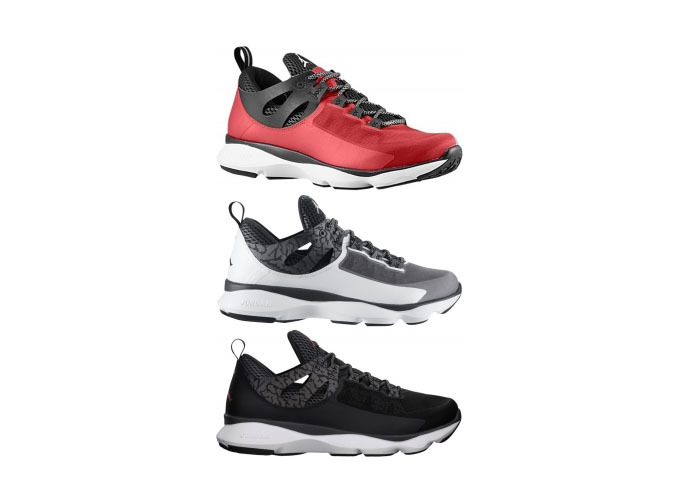 Also available on the sneaker market are the Red/Black-White, White/Black-Anthracite-Metallic Silver, and Black/Gym Red-Anthracite colorways. The second and third colorway has a unique feature as it sports an elephant print, which is not present on the “Concord” edition and Red/Black-White colorway. All three editions also sell at $110 per pair in select Jordan Brand accounts worldwide.